Sheffield Steeldogs' player-coach, Ben Morgan. Picture: Peter Best. 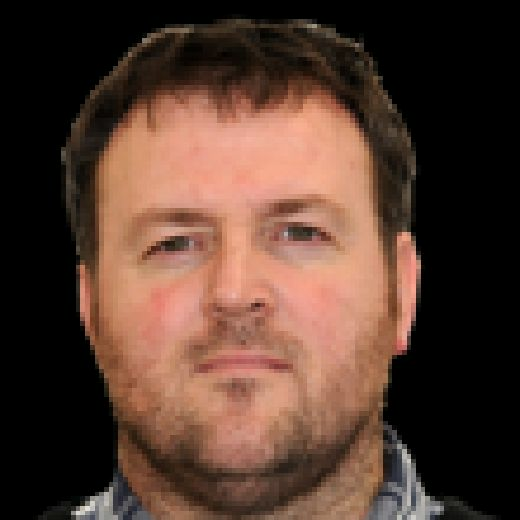 BEN MORGAN is backing his Sheffield Steeldogs team to bounce back from the disappointment of losing their NIHL North One crown by targetting a 2018-19 treble. The Steeldogs lost their regular season title to Yorkshire rivals Hull Pirates in dramatic fashion on Sunday night, going down 8-3 at Ice Sheffield on the final day of the campaign. It meant Jason Hewitt’s side took the title by two points, almost 12 months to the day after the Steeldogs had carried out a similar away-day raid at Hull Arena. But the season is far from over for either side, with two trophies still up for grabs, the post-season starting this weekend with the North One playoffs, which sees Sheffield up against Blackburn Hawks, while Hull take on Sutton Sting. Both Yorkshire clubs are expected to ease through to the next round, after which they will hope to go on and clinch the regional post-season crown. The two finalists from both North and South One will then continue on towards the Final Four Weekend in Coventry on April 13-14 where the national playoff trophy will be on offer. Sheffield Steeldogs' Nathan Salem , left, battles for possession against Hull Pirates during Sunday's title showdown at Ice Sheffield. ''Picture: Cerys Molloy. And while his players were left crestfallen at their defeat in front of a 1,400-plus crowd on Sunday night, Morgan is confident they will quickly dust themselves down in order to add more silverware to the North Cup title they won against Telford Tigers earlier this month. “We’re obviously disappointed with how it ended up on Sunday night but we won’t dwell on it,” said 31-year-old player-coach Morgan. “We take it graciously and we congratulate our opponents for having a good campaign and winning the league but we will move on straight away. This group will bounce back – definitely. We are still in for two more trophies and if we can get both, I’ll be more than happy to take a treble. 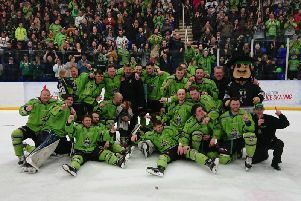 While regular season titles were being decided over the weekend, significant changes were being made to the league structure for the 2019-20 season, with Hull and Sheffield forming part of a new 10-team National League, with a team operating out of the new Leeds ice rink, also being granted membership, adding to the Yorkshire rivalry.